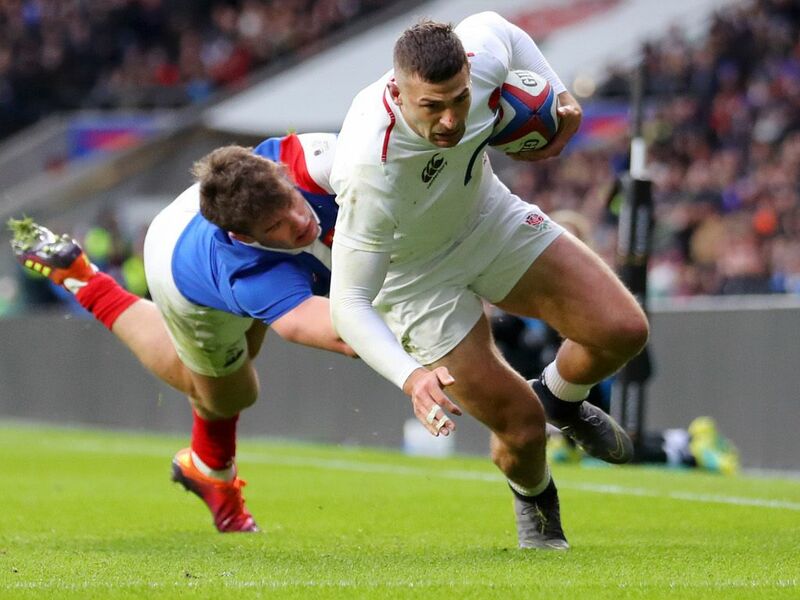 England winger Jonny May credits a rapid start for his hat-trick at Twickenham on Sunday as they downed France 44-8 in the Six Nations. May crossed inside the opening minute, having won a footrace to the ball Elliot Daly nudged over the French try-line, getting England off to the perfect start. By touching down, May continued his try-scoring run in the competition and he has now scored in four consecutive Six Nations appearances. “It is just a brand of rugby we are trying to play, we want to put teams under pressure,” May told England Rugby of the early dominance. May had bagged his second and third inside 30 minutes, and in doing so, became the first England player in 95 years to score a hat-trick against France. “I’ll remember this day; to score for your country is awesome, and especially at Twickenham,” he added. “I’m very grateful and feel very lucky,” he said. Eddie Jones’ men have now scored a try within the opening four minutes in eight of their last 14 Tests, and full-back Daly believes it sets the tone for how England want to play. “It puts the opposition on the back foot straight away, and if we can keep doing that then we have a good chance of winning games,” he explained. “I’m very pleased with the start; we talked about it all week, and to go in at half time 22 points up is exactly what we wanted. The win sees England top the Six Nations charts – two points clear of their next opponents Wales, who they face in a fortnight, and although Daly admits confidence is high in camp he knows England must improve ahead of the Cardiff clash. “We want to get better with each game,” he added.